ALLENTOWN, P.A. -- For the second consecutive night, the Red Wings fell in walk-off fashion. On Saturday, Logan Moore lifted a fly ball to deep left field with the bases loaded and no outs in the 11th inning to plate the winning run in a 4-3 IronPigs win at Coca-Cola Park in Allentown, PA. The Wings (41-43) failed to score in both extra frames with the "ghost runner" at second base as they fall 8.5 GB of first place Lehigh Valley. 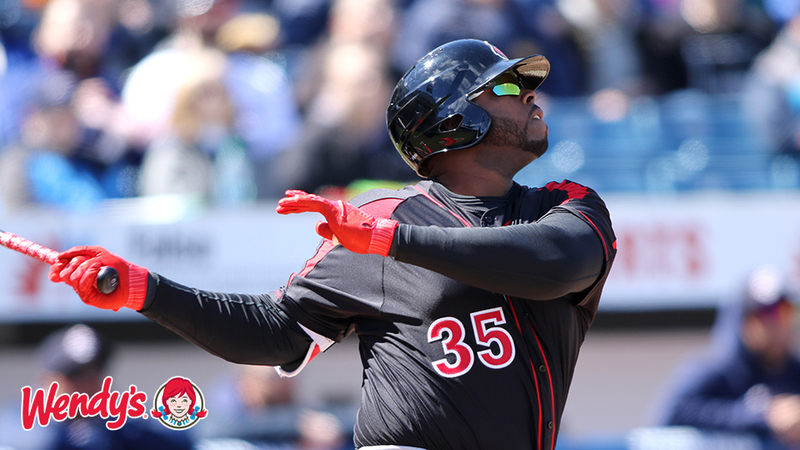 Kennys Vargas gave the Wings the lead with a two-run homer in the sixth inning - his team-leading 12th of the season. Since the calendar flipped to July, Vargas is 10-for-26 (.385) with three homers and seven RBI. The IronPigs would tie the game off DJ Baxendale in the seventh on a Ryan Goins RBI single and an RBI fielder's choice by Mitch Walding. Zack Littell deserved better than the no decision, going six innings allowing just one run on six hits and a walk with five strikeouts. Gregorio Petit gave the Wings a 1-0 lead in the first inning with an RBI single, but Petit would leave the game after a base hit in the sixth inning with an apparent injury. The Wings wrap up the first half of the season at 1:35 Sunday for the season finale. Fernando Romero (2-1, 1.93) makes the start for Rochester opposite RHP Tom Eshelman (1-7, 6.28). WINGS THINGS: The Wings added OF Jon Kemmer to the roster on Saturday. He was hitting .254 with 13 homers and 44 RBI for Fresno in the Pacific Coast League prior to being acquired by the Twins. To make room for Kemmer on the roster, DH/1B Chris Carter was released. Carter hit just .187 with Rochester with 7 homers in 36 games…The Wings are now 5-7 in extra inning games this season.